In 1858, the French government introduced a new uniform of white and navy striped shirts for the navy’s sailors (not officers) stationed in Brittany. 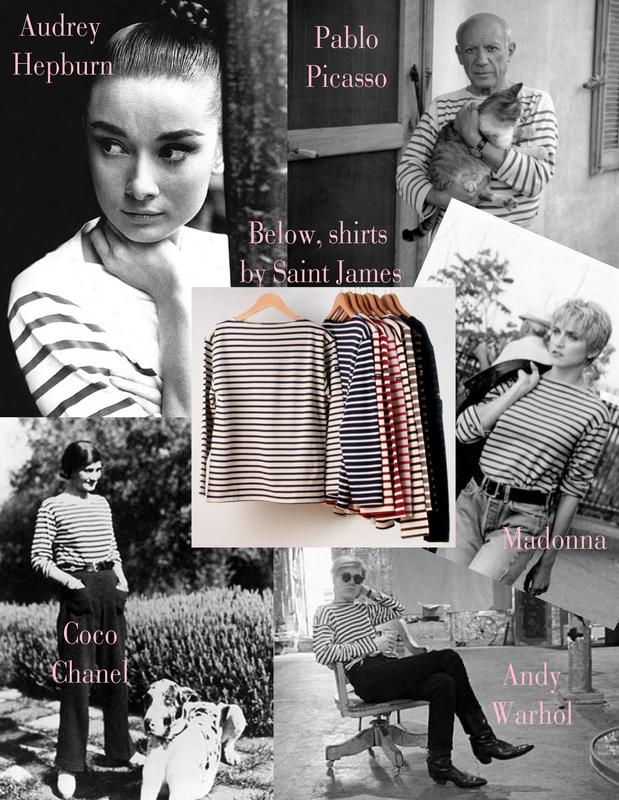 Since then, the striped breton shirt has become one of fashion’s most prolific trends, synonymous with chic, sea-faring style. Rocked by sartorial icons like Coco Chanel and Andy Warhol, the most authentic and coveted versions of these warm-weather shirts have been designed by French clothiers Saint James and Petit Bateau since the late 1800s. 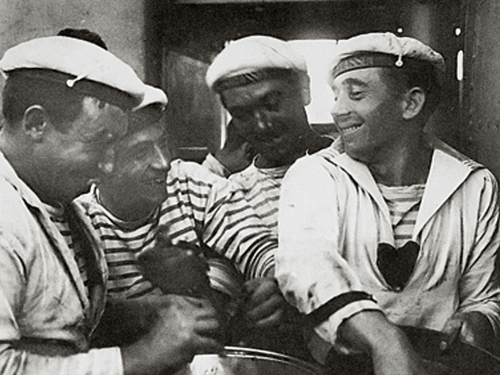 Above, French naval sailors wearing breton striped uniforms.